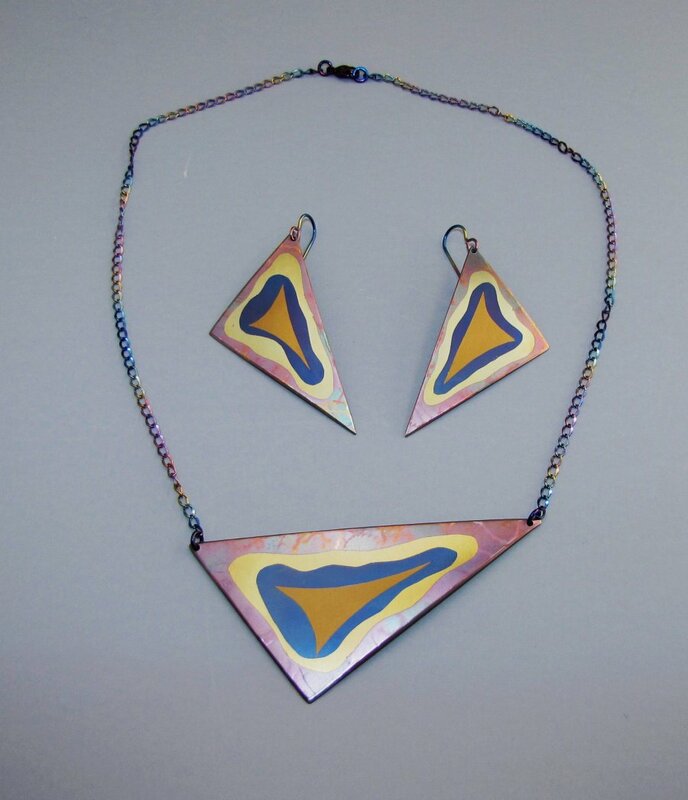 Set03: Art Earrings and Pendant Set #3 This inset-color titanium pendant and earring set will certainly draw attention. The earrings are 2½" long, and the pendant is 3½" wide. The color zones in the center catch the light differently than the magenta surround, adding depth.